Mini Double Confectionery Guitar 22mmThe mini double guitar has all of the advantages of the single frame unit with the added benefit of increased efficiency. You no longer need to rotate your product on the cutting surface. 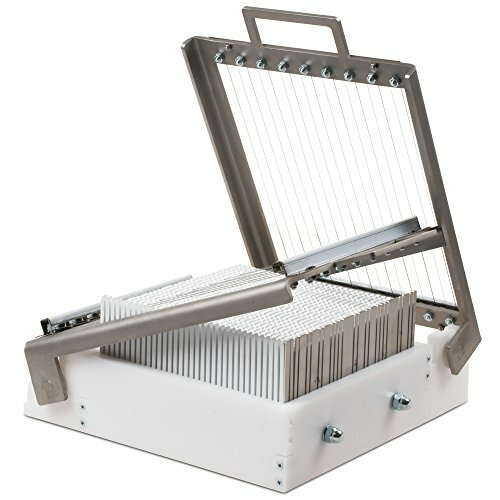 This saves you time and reduces the risks associated with handling your product too much.This guitar works well in cooperation with Mini Ganache Leveling Frame Set (B101). 22mm. 9.44 square. If you have any questions about this product by Martellato, contact us by completing and submitting the form below. If you are looking for a specif part number, please include it with your message.